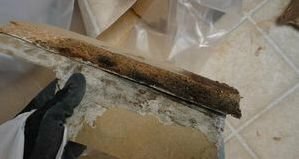 The mold removal Kaufman techs at 911 Restoration of Dallas can help you get rid of even the most severe fungal infestation once it has invaded your household. Although when you discover mold it is not classified as an emergency, it is still important to get it cleaned up quickly. Our mold removal Kaufman professionals are available 24/7/365, which makes it easy for homeowners to get in touch with a representative anytime. Once we understand the details of your situation, we will figure out a time that works best for you to conduct a free visual mold inspection and get the process started. Call our mold removal Kaufman team when you need assistance and we will get started on making your home a clean, safe environment for you and your family today. Through all their years of experience, we know to act quickly in situations involving water, and use comprehensive equipment that cleans up the water damage and mold growth that may have taken place. Our mold removal Kaufman staff use top of the line sump pumps, wet vacs, dehumidifiers, vapor barriers and air movers to clear out all the moisture and remove any trace of mold. If those living in the home inhale mold particles on a regular basis they may begin to experience health issues, such as wheezing, headaches, coughing, itchy eyes, sneezing and skin rashes. 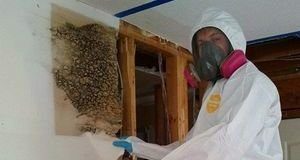 Call our mold removal Kaufman technicians if you begin experiencing any health issues when you enter your home and we will go the extra mile to make your property a safe place to live. Even though you might not always be able to see the mold growing in your home, it doesn’t mean that it is not there. Fungus likes to live in dark, damp places that are mainly out of sight, such as attics, air vents, inside walls and crawlspaces. Our mold removal Kaufman agents know that by leaving the mold to grow throughout the home, then the spores can easily spread throughout the property. We want you to be aware of the unhealthy side effects that living with mold particles can have on those living in the home. Along with the above mentioned allergy-like symptoms, substances such as black mold, can cause fatal illness in those living with it, which is why our mold removal Kaufman specialists take proper fungus cleanup so seriously. 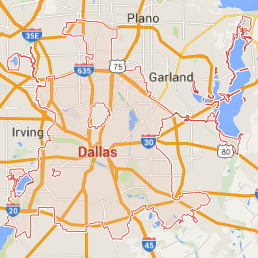 Call our mold removal Kaufman pros at 911 Restoration of Dallas today and we will make sure your home is a safe place for your family to not only live in, but thrive in.